Memorialize the great movie with these incredibly distinctive Avatar Contact Lenses by ColourVUE. The unique yellowish colour combined with the darker rim, will have you looking just like the movie. 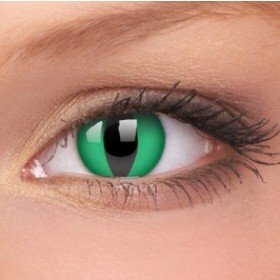 These can be worn for a full year after opening and you will have ample opportunity to show off your big yellow eyes at all the parties, Halloween and other get togethers.